The Region in the East consists of Malaysia & Singapore – each with its own Coordinator. The Communities are in Port Klang, Ipoh and Penang. Obituary. 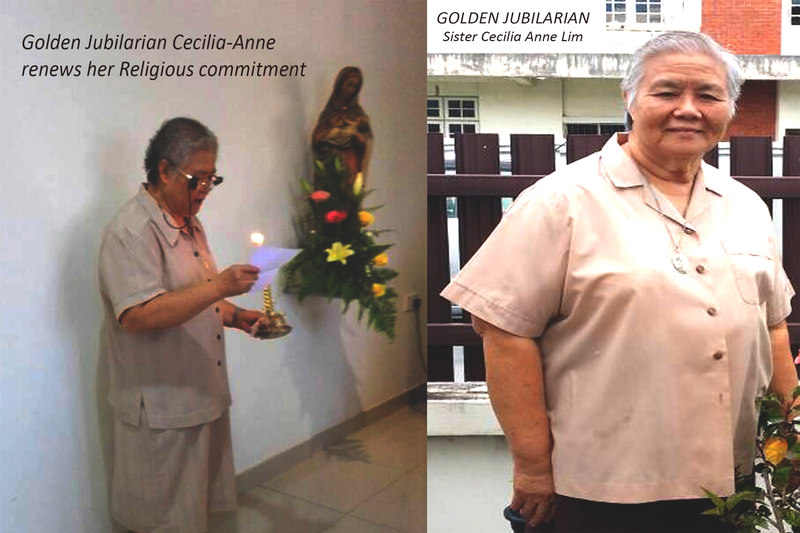 Sister Elisabetta Tan, age 84, passed away peacefully on Monday, 11 June 2018 in Our Lady’s Convent Ipoh, Malaysia. Her funeral Mass was held in the Church of Our Lady Mother of Perpetual Succour Ipoh on Thursday 14 June 2018. During Mass, celebrant Fr Paul Kee shared on how generous Sr Elisabetta had been in answering the Lord’s call and lived the religious life so generously and faithfully. Sr Helena RGS sang the responsorial psalm ‘The Lord is my Shepherd’ beautifully and with great feeling. Her sister Annie did the First Reading. Sr Elisabetta prepared her own funeral liturgy with the help of Sr Teresa Ratnam. She had been waiting for her Lord and Saviour to take her to God’s Eternal home. 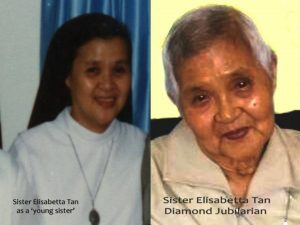 Sr Elisabetta was cremated at Tambun crematorium and her ashes will be interned in St Michael’s Church at a later date. We thank God for the gift of Elisabetta’s life and may eternal rest grant unto her O Lord, and may she now rest in peace. 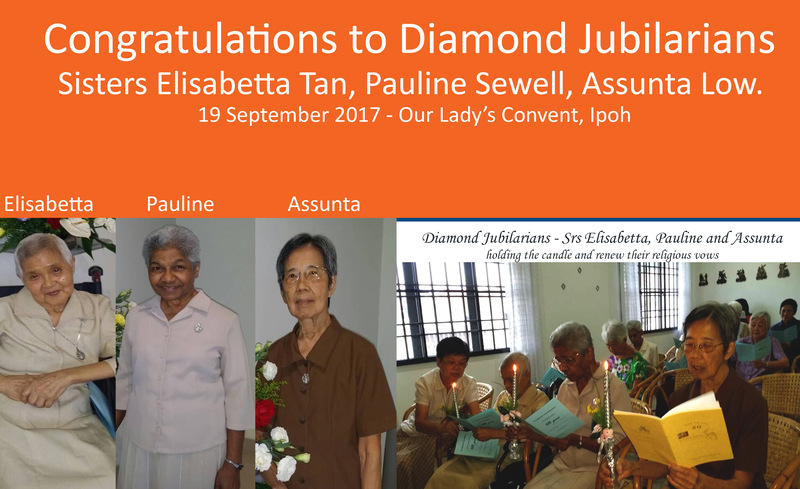 On 19 September 2017 there was great rejoicing as FMDM Sisters, priest friends, visiting FMDM Sisters gathered in Our Lady’s Convent chapel for the celebration of three great women who have reached this rare Diamond milestone. Sister Connie Hoe celebrated her Golden Jubilee on 17 February 2017 in Ipoh. Congratulations Connie on reaching this golden milestone. We are a small international Congregation but we are blessed with a beautiful charism of conceiving, birthing and nurturing the life of Christ with true Franciscan joy and simplicity wherever we are missioned throughout our beautiful but often broken world. 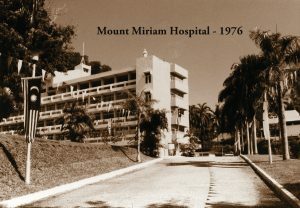 Following these Health Care establishments, and in response to our General Chapter mandates, we began to venture in launching small non-institutional communities in the Diocese of Johor and Melaka and in Port Klang in Selangor, West Malaysia in 1987. 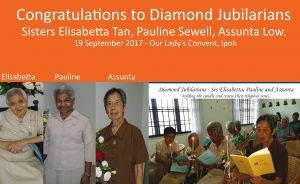 The sisters engaged in multi-faceted ministry in favour of the materially poor. Their various endeavours include Educare, a Learning Centre which not only provides remedial teaching for under-privileged children but also enlists the help of concerned persons in negotiating sponsorship of their education. 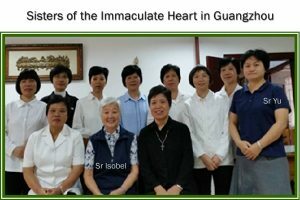 The sisters are involved in Basic Ecclesial Communities programmes, in Family Life Assistance, in the promotion through charitable outreach, of the spirit of fellowship with Hindu and Muslim neighbours. 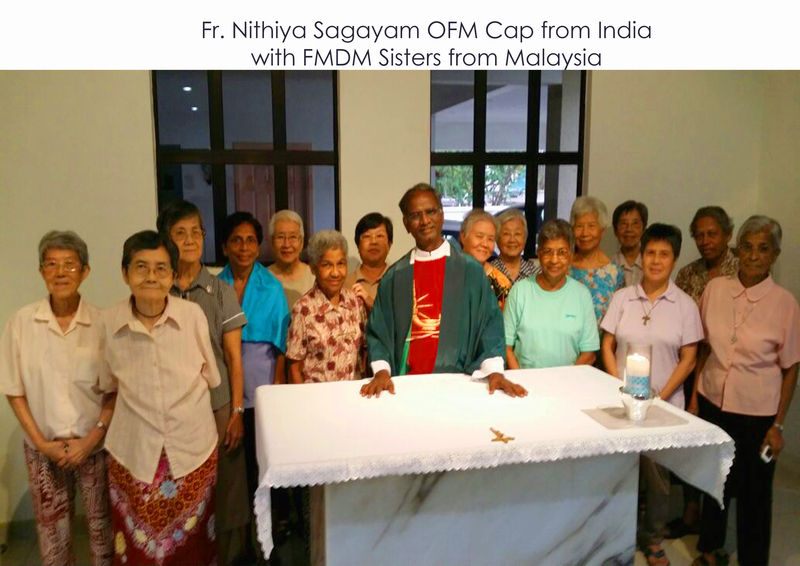 On 18-21 July, FMDM Sisters from Penang and Port Klang gathered in Our Lady’s Convent, IPOH. Due to geographical distance, sisters look forward to this gathering and for spiritual input as well as for fellowship. On 21 July, Fr. 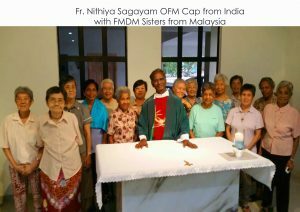 Nithiya Sagayam OFM Cap (from India), gave a session on TOR (Third Order Regular) values, which the sisters found very inspiring and enlightening. Although the topic is not new, Fr. Nithiya presented the topic very simply and genuinely, a subject close to our hearts – as FRANCISCANS.